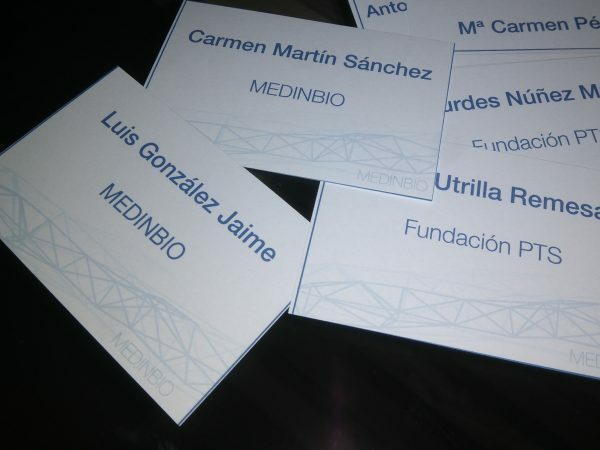 "We worked door to door with companies with which we could do something big and we did not know each other"
MedInBio was born from the concern of two workers of the Health Technology Park of Granada. Like, the best stories, MedInBio arose during the coffee breaks. It was common to see workers from different companies at that time and that’s when we realized that despite working almost door to door, we knew very little about what the others companies do and we wanted to cover this need. Worst of all, we were losing all the opportunities to do something big. Therefore, we created the first Forum of Innovation & Collaboration among Biomedical entities. This is how MedInBio was born. We started to tell it to each other, but we knew that there were many other companies that we did not know about and that we could learn from. Therefore, we decided to undertake the adventure of setting up a transfer forum where companies, research groups, and professionals from the sector could turn to. It is true that there are other initiatives within the park, however we wanted to do it in a more dynamic and relaxed way, where all the attendees were an active part of the forum, almost as if we were in a coffee break. The objective: to get to know each other, to encourage open innovation, collaborations, and business at the regional level. The emplacement was ideal for a large number of companies in the park, the proximity of the hospital and other research centers in the southern area of Granada. After many meetings, we got bit by bit to join collaborators and will also be part of this initiative. It was there, with the help of the PTS Foundation and Destina Genomics when MedInBio took shape as we knew it in its first edition. For this 2018 we hope that MedInBio will consolidate itself as a dynamic forum where the participants get a positive feeling, get to know a huge number of entities of the field and establish quality relationships with them. Do not hesitate to contact us if you want to collaborate in MedInBio!